Toronto Chinese Orchestra’s As the Moon Rises mini concert is coming soon! We are proud to have Joshua Zung perform Ying Liu’s Spring Lantern Festival for suona and orchestra. This is work is based on a traditional northeastern folk song and describes the people’s excitement and joy as they celebrate the Lantern Festival. We hope you will be able to join us on April 21, 2018 at the Cornell Community Centre’s Recital Hall at 8:00 pm. 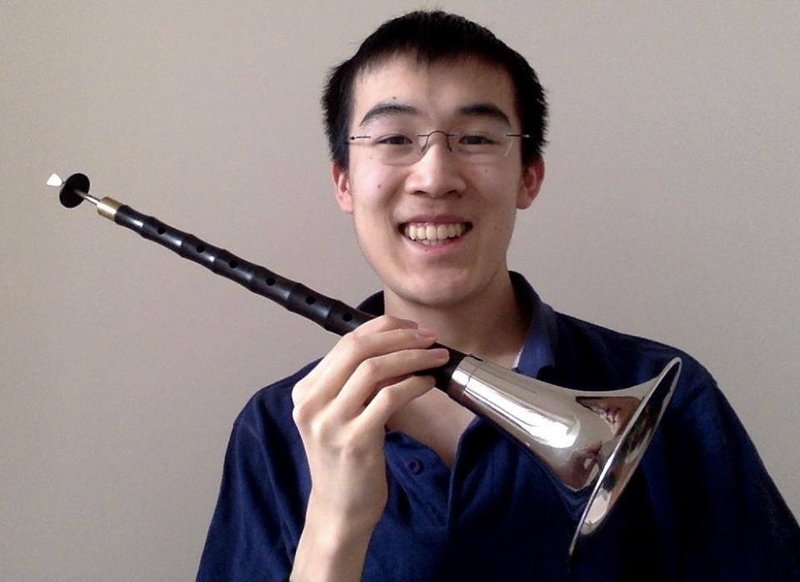 Joshua Zung has played suona for two years with the Toronto Chinese Orchestra. He holds an ARCT Diploma in clarinet performance and a first place award from the Canadian Music Competition. He has received three Gold Medals from the Royal Conservatory of Music for clarinet and oboe. He is a member of Hart House Orchestra and CAST Philomusica, and played with the Toronto Symphony Youth Orchestra for five seasons. Joshua is currently studying at the University of Toronto Faculty of Law.